Size of this preview: 441 × 599 pixels. Other resolutions: 177 × 240 pixels | 536 × 728 pixels. 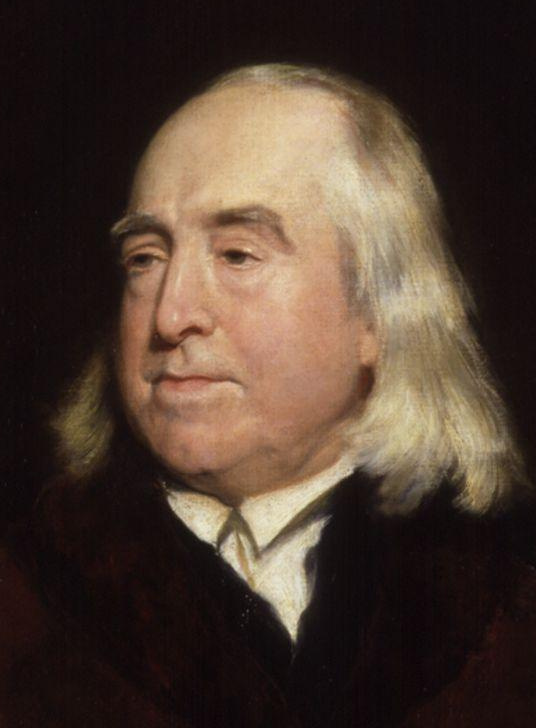 Cropped detail of File:Jeremy_Bentham_by_Henry_William_Pickersgill.jpg showing face. Jeremy Bentham, by Henry William Pickersgill (died 1875). See source website for additional information. This work is based on a work in the public domain. It has been digitally enhanced and/or modified. This derivative work has been (or is hereby) released into the public domain by its author, Dcoetzee. This applies worldwide. Dcoetzee grants anyone the right to use this work for any purpose, without any conditions, unless such conditions are required by law.